Over the last decade, many companies have been shifting IT responsibilities to the cloud, a solution that allows various users and hardware to share data over vast distances. Cloud programs frequently take the form of infrastructure as a service. A company that can't afford in-house servers or a full-sized IT team can use cloud solutions to replace these hardware and personnel limitations. Large companies like Amazon, Microsoft and Google are all behind cloud services, propelling the space forward and innovating constantly. However, there are still limitations when it comes to cloud adoption. For as convenient as theses services are, they are designed for ubiquitous usage. Organizations that specialize in certain tasks may find a cloud solution limited in its capabilities. 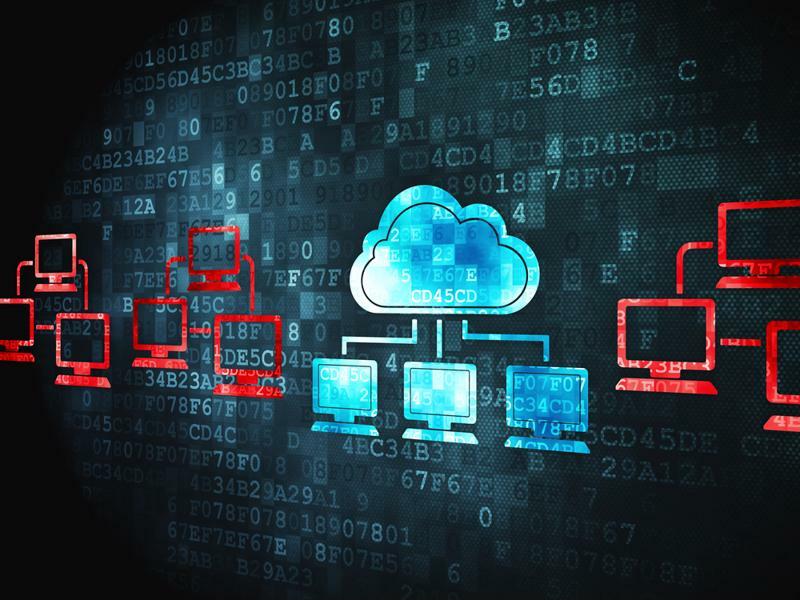 Those businesses wishing to support service-oriented architecture may wish to consider a hybrid cloud solution, a new service becoming widespread throughout various enterprise application. As its name suggests, a hybrid cloud solution combines the power of a third-party cloud provider with the versatility of in-house software. While this sounds like an all-around positive, these solutions are not for every organization. "Before businesses discuss a hybrid solution, they need three separate components." Have on-premise private cloud hardware, including servers, or else a signed agreement with a private cloud provider. Support a strong and stable wide area network connection. Have purchased an agreement with a public cloud platform such as AWS, Azure or Google Cloud. Essentially, before businesses can discuss a hybrid solution, they need all the separate components. An office with its own server room will still struggle with a hybrid cloud solution if its WAN cannot reliably link the private system with the third party cloud provider. And here is the crutch. Companies without skilled IT staffs need to think long and hard about what that connection would entail. Compatibility is a crucial issue. Businesses can have the most sophisticated, tailored in-house cloud solution in the world but, if it doesn't work with the desired third party cloud software, the application will be next to useless. It isn't just a matter of software. Before a hybrid cloud solution can be considered feasible, equipment like servers, load balancers and a local area network all need to be examined to see how well they will function with the proposed solution. After this preparation is complete, organizations will need to create a hypervisor to maintain virtual machine functionality. Once this is accomplished, a private cloud software layer will be needed to empower many essential cloud capabilities. Then the whole interface will need to be reworked with the average user in mind to create a seamless experience. In short: in-house, skilled IT staff are essential to successfully utilizing a hybrid cloud solution. If businesses doubt the capabilities of any department, or question whether they have enough personnel to begin with, it may be better to hold off on hybrid cloud adoption. Without being properly installed, a poorly implemented solution could cause delays, lost data and, worse of all, potentially disastrous network data breaches. Cloud technology has been designed to keep business data secure. Poorly installing a hybrid solution could weaken this stability. However, if created the right way, a hybrid cloud solution brings a wide array of advantages to many enterprises, particularly those working with big data. According to the Harvard Business Review, hybrid cloud platforms can bring the best of both solutions, including unified visibility into resource utilization. This improved overview will empower companies to track precisely which employees are using what and for how long. Workload analysis reports and cost optimization will ultimately be improved as organizations can better direct internal resources and prioritize workers with stronger performances. Overall platform features and computing needs will also be fully visible, allowing businesses to scale with greater flexibility. This is especially helpful for enterprises that see "rush periods" near the end of quarter/year. As the need rises, the solution can flex right along with it. Hybrid cloud services are also easier to manage. If implemented properly, IT teams can harmonize the two infrastructures into one consistent interface. This will mean that employees only need to become familiar with one system, rather than learning different apps individually. Companies processing big data can segment processing needs, according to the TechTarget report. Information like accumulated sales, test and business data can be retained privately while the third party solution runs analytical models, which can scale larger data collections without compromising in-office network performance. As The Practical Guide to Hybrid Cloud Computing noted, this type of solution allows businesses to tailor their capabilities and services in a way that directly aligns with desired company objectives, all while ensuring that such goals remain within budget. Organizations with skilled, fully formed IT teams should consider hybrid cloud solutions. While not every agency needs this specialized, flexible data infrastructure, many businesses stand ready to reap considerable rewards from the hybrid cloud. https://www.isgtech.com/wp-content/uploads/2018/03/springfield.jpg 309 555 RJackson /wp-content/uploads/2018/02/isg-logo.png RJackson2018-04-11 16:03:492018-04-11 16:03:49Is a hybrid cloud solution right for your company?